A watch appraisal is very different from a jewelry or diamond appraisal both in terms of process and the factors considered. That being said, a watch appraisal also requires a different kind of expertise. It is important to work with a watch appraiser who offers as many years of experience and as little bias as possible. It is also the case that many jewelers are qualified to inspect and evaluate a watch. If you choose to sell your watch with Worthy, a full physical appraisal is included as a part of our complimentary services. This is both a benefit and a necessity as many watches are found to be worth more or less than originally thought. There are also many cases of fraudulent and counterfeit watches -- especially those sold online. A watch appraisal at Worthy begins at our secure facility, where your watch is received, catalogued and expertly appraised. The first thing that is looked at is the paperwork that may have come with the watch. This is very helpful in assessing the watch as this confirms authenticity at the outset. From there, the serial number is located. In different brands, the serial number is placed in varied locations. In the following steps, other aspects are examined such as the general condition of the watch to see whether it is broken, scratched, recently repaired, or refurbished. Once the appraisal is complete, our experts professionally photograph your watch and compose a sales description to accompany it for auction. Traditionally, an appraisal includes a quoted monetary value of the watch. Here at Worthy, we do things a bit differently. 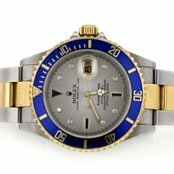 When your watch goes up for auction, hundreds of watch experts and professional buyers view your luxury watch image and description. Then the bidding begins. With the final highest bid, the true market value of your watch is revealed. We believe that this is the fairest, and most relevant method of assigning value to your watch. It is also the way that we get you the highest market value possible. Brand Authenticity- Both the brand name itself and accompanying paperwork are considered in a watch appraisal. Brands that are particularly valuable fall into the same category as Rolex, Patek Philippe, Piaget, Hublot, Breitling, and more. It is also the case that the watch’s value will increase if it is still with the original box. These help to determine that the watch is real and made with the high level craftsmanship associated with that brand. Quality- A watch’s quality is all about the craftsmanship. For generations, the Swiss have been the most prominent in the watch industry in regards to quality. From the mechanics down to the exterior details, swiss craftsmanship is unparalleled. Most of the prominent high end luxury brands incorporate Swiss elements into their watches. Condition- The condition of your watch affects the watch appraisal a great deal. Many high quality durable watches can still be scratched, break, or simply stop moving after time. Non-working watches can still be valuable and accepted for resale but the overall value will be impacted. If a watch is scratched or broken, it will go down in value significantly. Materials- This refers to watch the watch is made of. If a watch is made of gold casing versus gold plated casing, it is much more valuable. The face of the watch can be comprised of rare materials such as mother of pearl, onyx, or even opal. The hands of the watch can also very valuable, made with white gold, platinum, pearl, steel, etc. Unique features- Purely mechanical winds, perpetual calendars, transmitters, are among unique features that some of the most coveted brands include in their watches. These elements set brands apart from others and can fetch very high resale prices. 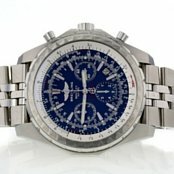 Market Demand- Many watch owners are disappointed when they realize that a watch that was purchased for $15,000 is worth only a fraction of the price. Even if the watch is in good condition and made with high quality materials, market demand for that particular watch can fluctuate, affecting the resale price. This is just one more reason a Worthy watch appraisal is vital to your success as a seller. 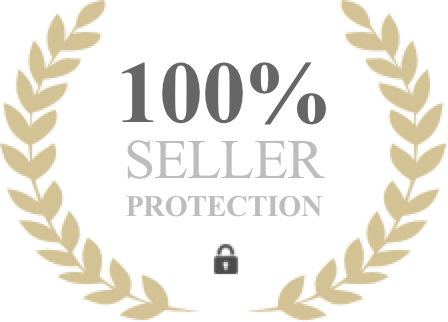 If you are looking to sell your watch, we are here to help you get the highest market value. 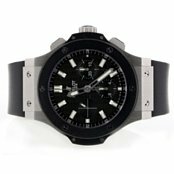 Because each of the luxury watches we sell on behalf of our clients is unique, we match it with a partner appraiser who is well-versed in evaluating similar watches, and who has the expertise required to provide a completely objective appraisal which will ultimately increase buyer satisfaction and help you receive the best possible value. Your watch will be thoroughly cleaned as part of this process, and after the appraisal has been completed, it will be professionally photographed using the best digital imaging equipment available. One of our experts will then write an appealing selling description as a final step in preparing your watch for auction. We take on the work of assessing and selling your watch without any obligation or commitment from you. 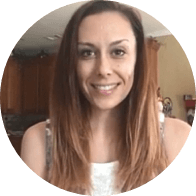 All of these services are a part of the process with Worthy and come at no extra charge.